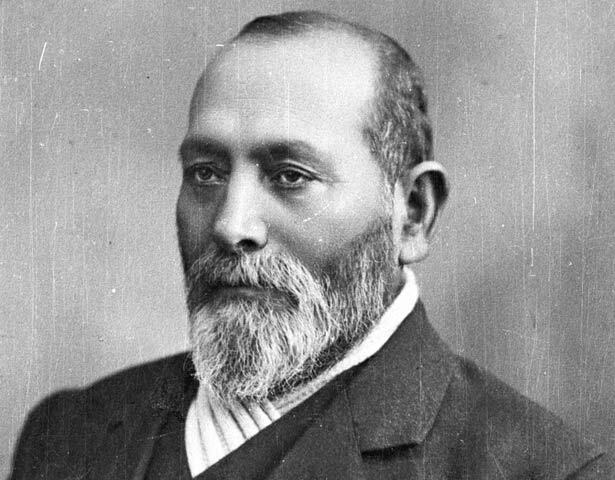 Wiremu Pere, of mixed Te Aitanga-a-Māhaki/Te Whanau a Kai/Rongowhakaata and European descent, was born in 1837 at Turanga (Gisborne). When war came to the East Coast in 1865 Wī Pere remained a government supporter. At the same time, he protested against both the exile of Poverty Bay Māori without trial to the Chatham Islands, and the government's moves to confiscate their land. When the rebel leader Te Kooti escaped from the Chathams in July 1868, Wi Pere helped government forces pursue him, although he had some sympathy for Te Kooti. He opposed the land confiscation which followed this conflict. In the 1870s he supported the Repudiation movement, which aimed to reverse alleged fraudulent land purchases. He also opposed the Native Land Court giving land title to individuals, believing land should be owned by hapū (sub-tribes) or whanau (family). Through these activities he became an important Māori leader in the region. Wī Pere later tried to help Māori cut through the complex land laws and difficulties associated with multiple ownership of land. He also worked to ensure that they could finance land development. From 1880 he and W. L. Rees, a lawyer for the Repudiation movement, persuaded many East Coast Māori to hand over some of their lands to a trust. The land would then be sold or leased, and the money used for Māori land development. But the scheme failed, partly because of economic depression, and hostility from politicians. However, Wī Pere remained concerned that Māori keep their lands and farm it themselves. He gained wide support, and was elected to Parliament representing Eastern Māori in 1884. He spoke strongly against the Native Land Court and dealing with individuals rather than tribal groups. He was also in favour of giving Māori communities control over their lands through elected "block committees". In 1887 he was defeated by James Carroll. Pere re-entered Parliament in 1894. Once again he strongly criticised the government's Māori land policies. He called for a boycott of the Native Land Court and an end to land sales and leasing. He continued to press for greater Māori control over land. He also joined the Kotahitanga movement and supported its demand for a separate Māori Parliament, abolition of the Māori land laws and implementation of the Treaty of Waitangi. Pere lost his seat to the young Āpirana Ngata in 1905. In 1907 he was appointed to the Legislative Council, where he remained until 1912. He died in 1915. Heke ai a Wiremu Pere i ngā kāwai o Te Aitanga a Māhaki, o Te Whānau a Kai, o Rongowhakaata, o te Pākehā. I whānau ia ki Tūranganui-a-Kiwa i te tau 1837. I te tau 1865 ka mura ngā ahi o te riri ki Te Tai Rāwhiti. Ka kuhu a Wī Pere ki te taha o te kāwanatanga. Heoi anō, ka tohe ia mō ngā Māori o Tūranganui-a-Kiwa ka whiua ki Wharekauri kāore he whakawākanga, me te kimi huarahi a te kāwanatanga ki te tango i ō rātou whenua. I te marama o Hūrae i te tau 1868 ka rere a Te Kooti mā i Wharekauri. Ko Wī Pere tētahi i te taua o te kāwanatanga i tukua kia whai i a ia, ahakoa tana pukuaroha ki a Te Kooti. Ka ātete ia i ngā raupatunga whenua ka whai i tēnei riri. I te tekau tau atu i 1870 ka tautoko a Wī Pere i te rōpū Whakahētanga Hoko Whenua, e aru ana ki te huripoki i ngā hokonga whenua hīanga. Kāore hoki ia i whakaae ki te Kōti Whenua Māori me tana tuku whenua ki te tangata takitahi; ko tāna i whakapono ai, me noho kē ngā whenua ki raro i ngā whakahaere o te whānau, o te hapū. Nā ēnei kaupapa nui āna, ka kake a ia hei rangatira whai mana i te rohe. Whāia, ka ngana a Wī Pere ki te āwhina i ētahi atu Māori kia whakamatara i ngā ture whenua Māori whīwhiwhi, me ngā taumahatanga ka puta i te taitara whenua takitahi. I rapu huarahi ia e tareka ai he pūtea hei whakapai, hei whakamahi i ngā whenua. Mai i te tau 1880 ka huri rāua ko W. L. Rees, he rōia mō te rōpū Whakahētanga Hoko Whenua, ki te whakawherewhere i te rahi o ngā Māori o Te Tai Rāwhiti kia tukua ētahi o ō rātou whenua ki tētahi kaitiaki whenua. Ka hokona, ka rīhitia rānei ētahi o ngā whenua, ko te moni ka puta hei utu i te whakawhanaketanga o ngā whenua ka toe. Heoi, ka hinga te kaupapa, nā te paheketanga o te ōhanga me te taraweti o te hunga tōrangapū. Hāunga tērā, i pumau tonu a Wī Pere kia whakahaerehia, kia pāmutia e ngā Māori ō rātou ake whenua. Ka whānui ngā tautoko mōna; waihoki, ka kuhu ia ki te Pāremata hei Mema Māori mō Te Tai Rāwhiti i te tau 1884. Ka kaha tana whakahē i ngā mahi a te Kōti Whenua Māori, me te korero ki ngā tāngata takitahi kāpā te hapū, whānau, iwi rānei. I tautoko ia i te whakaaro ki te tuku mā ngā hapori Māori e whakahaere ō rātou whenua mā roto i ētahi “komiti poraka” ka pōtitia. I te tau 1887 ka hinga ia ki a Timi Kara. Ka hoki anō a Wī Pere hei Mema Pāremata i te tau 1894. Ka ātete anō ia i ngā kaupapa here a te kāwanatanga e pā ana ki ngā whenua o te Māori. Ka puta tana kōrero kia kaua e manaakitia te Kōti Whenua Māori, kia kati te hoko me te rīhi whenua. Ka whakahau tonu ia kia nui ake te mana whakahaere o te Māori i runga i ōna anō whenua. Ka kuhu ia ki te Kotahitanga e karanga ana kia tū he Pāremata Māori, kia whakakorehia ngā ture whenua Māori, kia whakamanatia te Tiriti o Waitangi. Ka hinga a Pere i te pōti o te tau 1905 ki a Āpirana Ngata. I te tau 1907 ka tohungia ia ki te Kaunihera Ture, ā, tae rawa ki te tau 1912. Ka mate ia i te tau 1915. We have 40 biographies, 6 articles, related to Wiremu Pere.